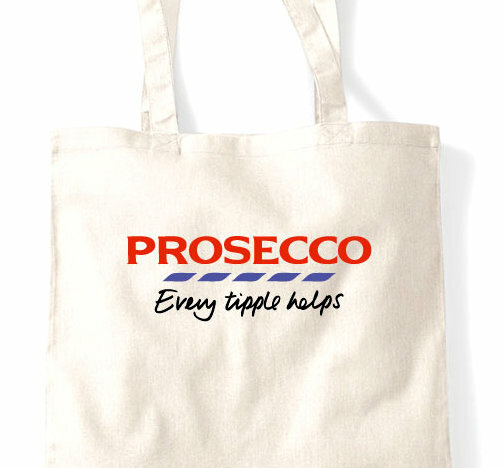 Reusable PROSECCO Tote Bag for all your wine purchases and gifts - because Every Tipple Counts! Design is professionally heat pressed in durable, quality flock vinyl or glitter vinyl - your choice! Please note "Every Tipple Counts" text is in black flock for both options.